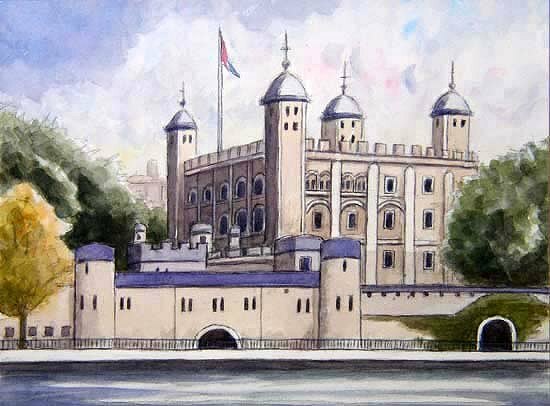 The Tower of London…..Founded by William the Conqueror in 11th century as a symbol of his power. Later known as a prison of royal　enemies. Lots of nobles, including Anne Boleyn, Queen Elizabeth’s　mother, got their heads cut off here.